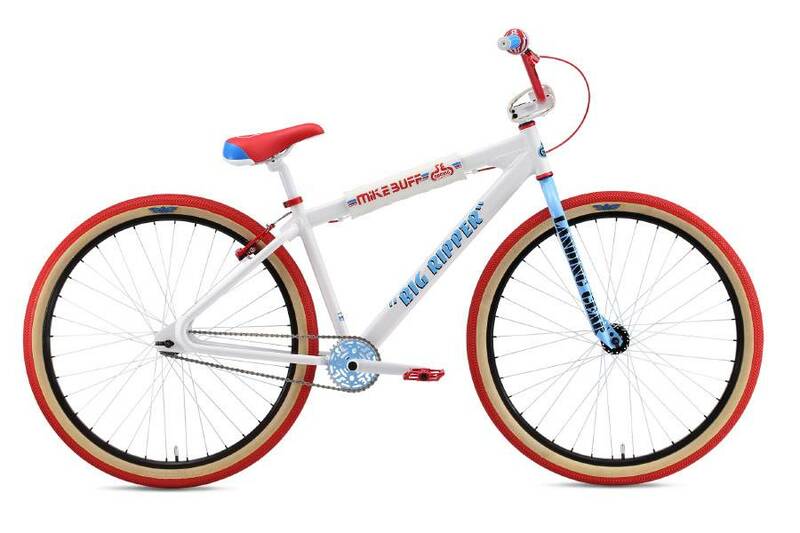 The 2018 SE 29" Mike Buff Big Ripper is the coolest looking color combination Big Ripper in a while. 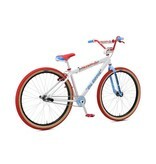 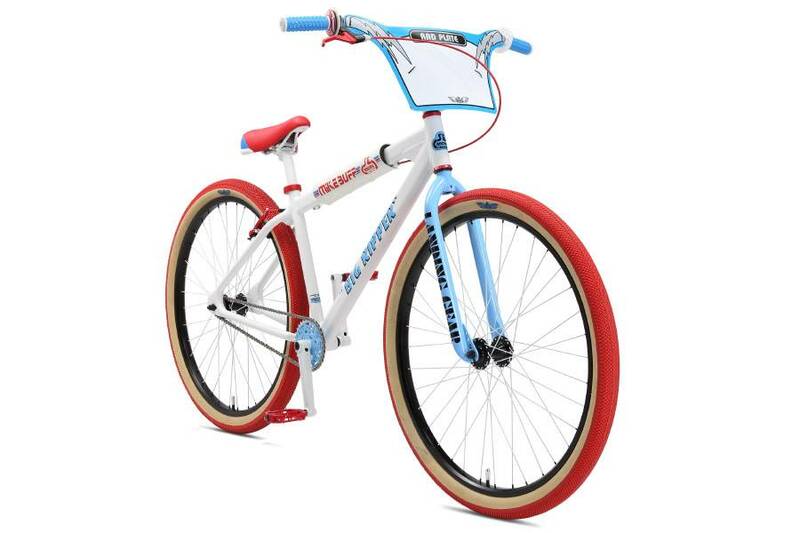 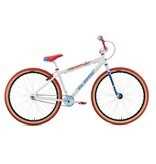 This sick bmx bike features a unique red wheels and red accents with a blue fork as well as blue accents also. 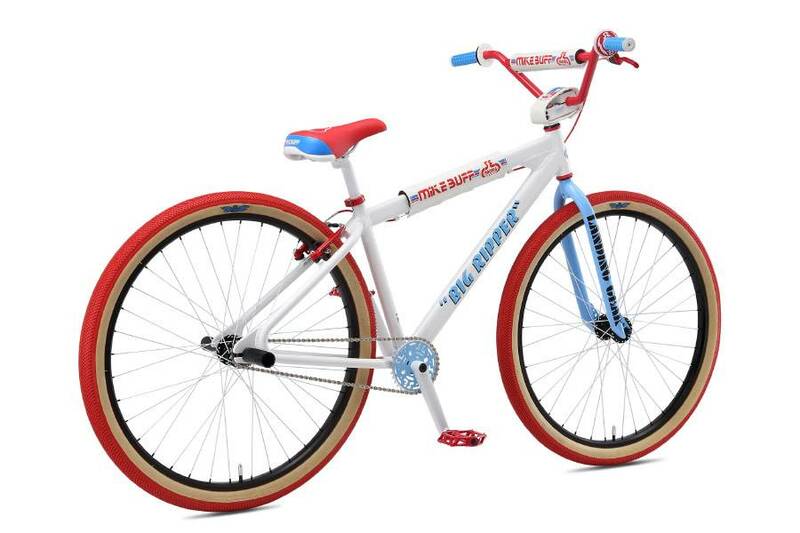 Not to mention the frame in white, which creates the most unique and coolest color combination on a bmx bike in a long time. 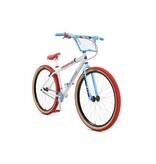 Riding this bike through town will not only feel great but you'll look amazing while doing it too. 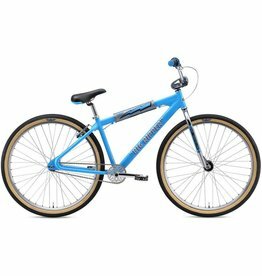 Handle Bars: Big Honkin' Cr-Mo Cruiser Bar, 29" x 6"